Mike R. Lathrop, retired Captain of the Houston Fire Department, died at 3 AM Tuesday in Saint Luke's Hospital after a short illness. He was 56. 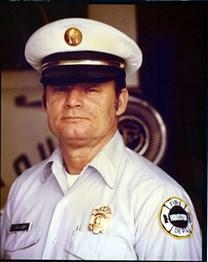 A native of Paradise and a resident of Houston for 45 years, Lathrop served in the Fire Department for 30 years. Illness forced him to retire in 1950. He lived at 905 Findlay St. He was a veteran of World Wars I and II and a member of the Methodist Church, the American Legion Post Number 391, and the Mounted Sheriff's Posse of Harris County. Survivors include his widow Mrs. Fay Latrhop; two brothers; Jack D. Lathrop; two brothers, Jack D. Lathrop and Frank M. Lathrop, and a sister, Mrs. Ruth Hemphill, all of Houston. Funeral services will be held at 1:45 PM Thursday in the Boulevard Funeral Home Chapel with the Rev Melton W. Bailey and the Rev Larry M. Stokes conducting. Burial will be in Hollywood Cemetery. Captain Mike R. Lathrop, 56 of 7905 Findlay St. died 3 am Tuesday. Resident of Houston 45 years. Retired Captain of Houston Fire Department. Member American Legion Post 391. Sheriff's Posse of Harris County. Surviors: Widow, Mrs. Fay Lathrop; brothers, Jack D. Lathrop, Frank M. Lathrop; sister, Mrs. Ruth Hemphill; several nieces and nephes, all of Houston. Body will lie in state at the residence until 10 am Thursday. Services 1;45 PM Thursday Boulevard Chapel. The Rev. Melton W. Bailey and the Rev. Larry M. Stokes. Graveside services under the auspices of American Legion Post 391. Burial Hollywood Cemetery. Boulevard Funeral Home. Captain George Earl Lowdermilk was born August 20, 1923 in Mauldin, Arkansas and died January 12, 2007 in Houston, Texas. He is survived by his wife of 63 years, Nelda Lowdermilk and by 3 children, Sheri Lynn, Alana Beth and Kenneth Earl Lowdermilk, and by 6 grandchildren, Edward Westerman and wife Amanda, Lisa Brosowske and husband Scott, Jason Haugen and wife Amy, Nicholas, Skylan and Kendall Lowdermilk, and 4 great grandchildren, George, and Griffin Brosowske and Jake and Lily Westerman. He served in the U.S. Navy during WWII and served 55 years as a Houston Fire Fighter, longer than anyone in department history. He retired on January 4, 2005 as a Senior Captain. He served 40 years on the Houston Fire Fighters Relief and Retirement Fund. 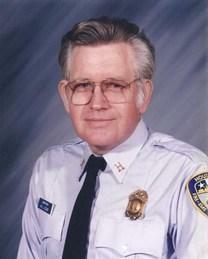 He served on the Board of the Dennis Holder Scholarship Fund, and the Board of the Fire Fighters Federal Credit Union. He was a member of the Memorial Fund and was instrumental in the creation of the memorial constructed at the Pension Fund Complex.